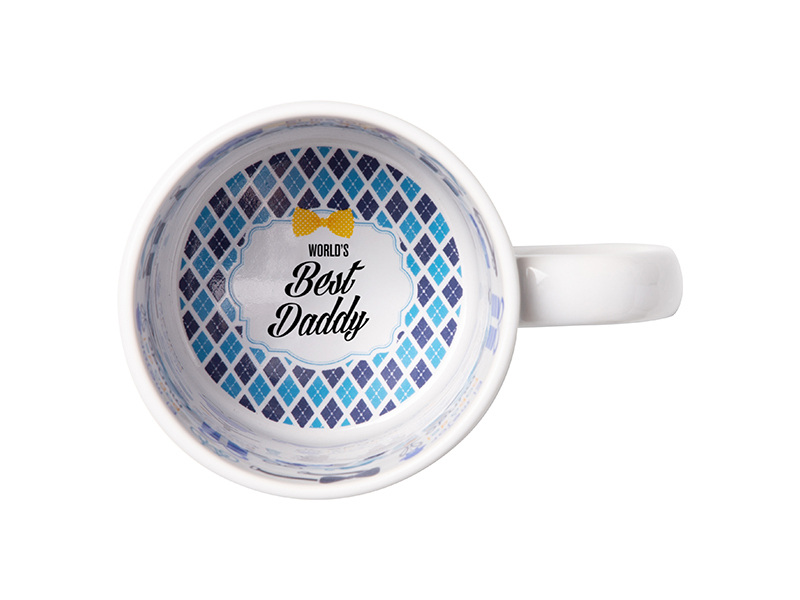 Motto mug, ceramic, 11oz, φ8.2*H9.5cm. 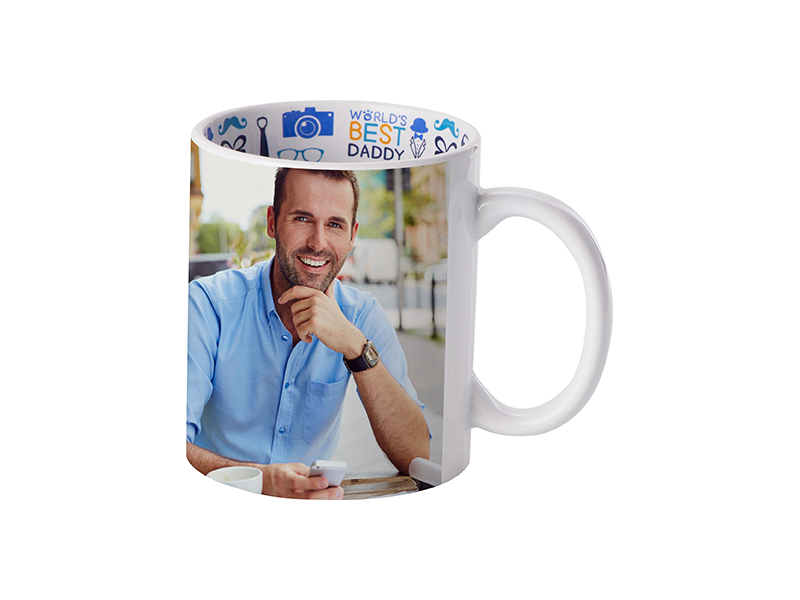 Well coated for sublimation printing. 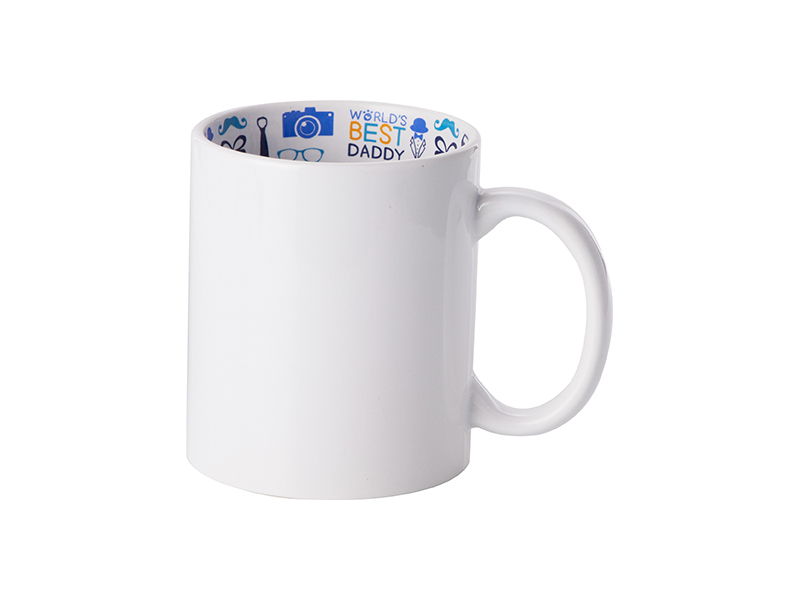 With nice “Best Father” design inside of the mug, it comes with sublimation coating outside. 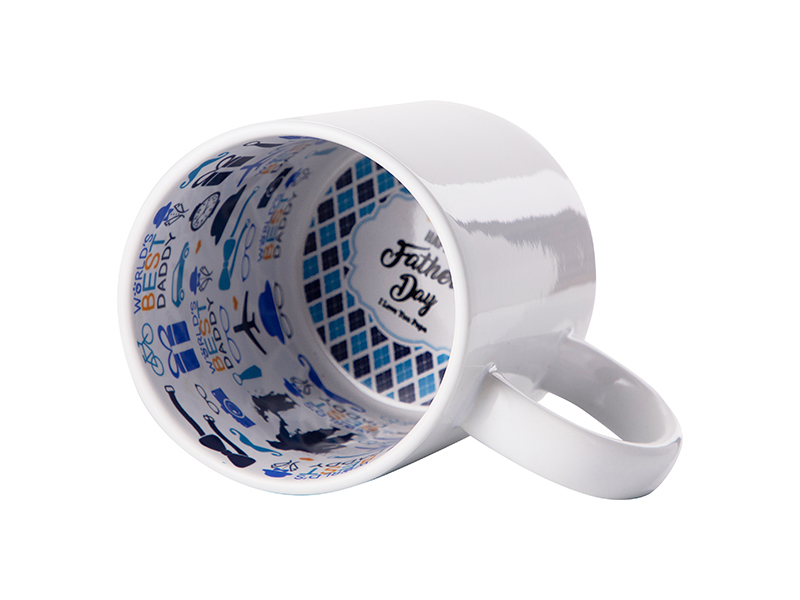 Other designs can also be customized.